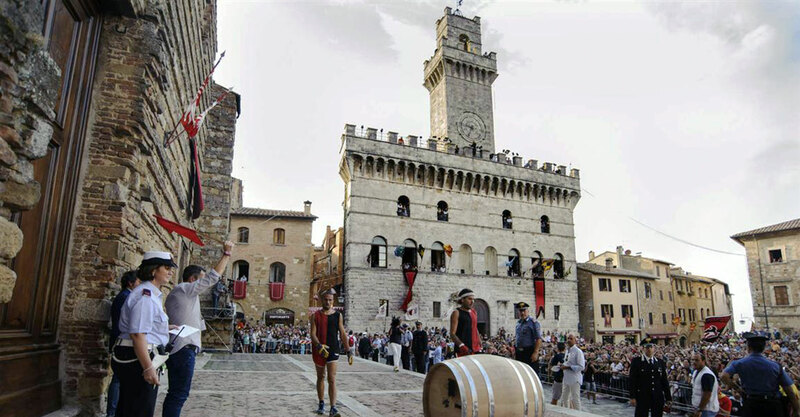 The Bravìo delle Botti of Montepulciano is a charming event not to be missed, and is also a chance to live Tuscany and its traditions during your stay there. 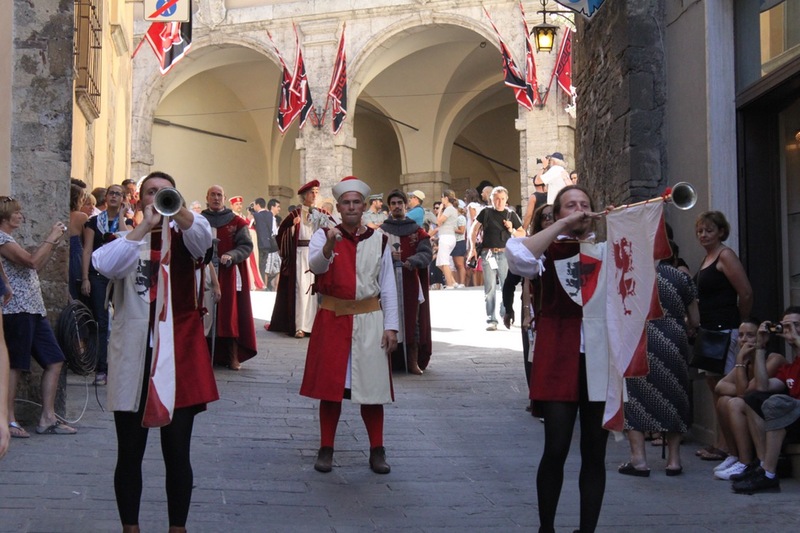 The “Bravìo” takes place every year, on the last Sunday of August, and besides being an important event is also a different, and extremely old, way to “celebrate” wine. 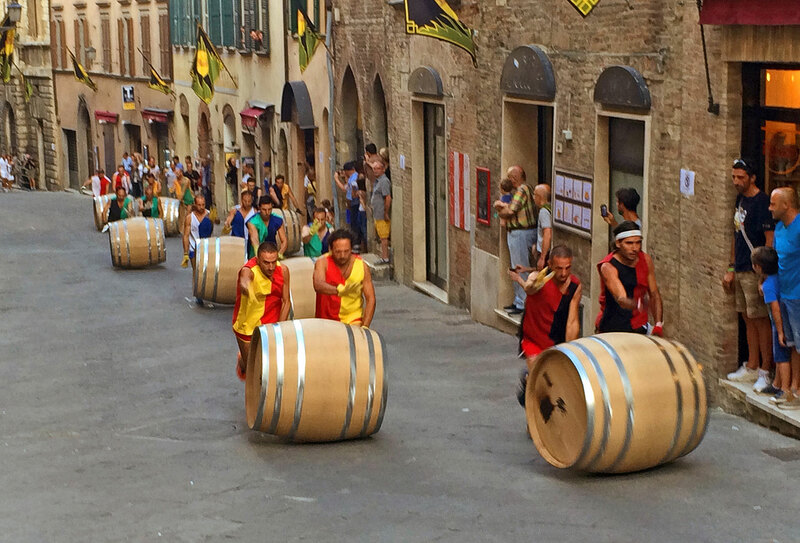 The 8 quarters of Montepulciano (Cagnano, Collazzi, Coste, Gracciano, Poggiolo, San Donato, Talosa e Voltaia) face each other pushing oak barrels (usually used to keep wine) from the beginning of the main road of the town up to the Cathedral churchyard of the Piazza Grande. 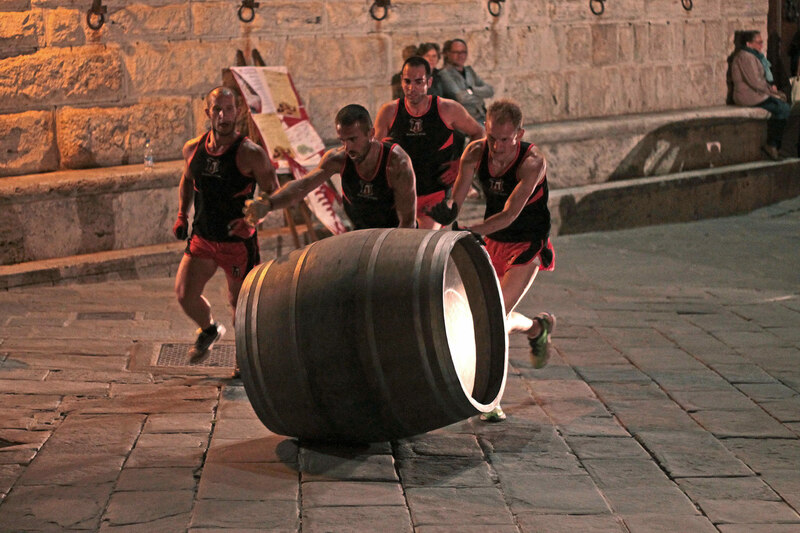 The barrels, weighing 80 kg, are pushed by two men called "pushers" along the route of the race, a steep climb of 1,800 meters, which meanders through the charming streets and buildings of the old town. The morning of the Sunday of the race, in the Piazza Grande, there are several fascinating ceremonies such as the starting order extraction, the fire branding of the barrels, the consignation by the municipality to the Magistrate of the Contrada of the " Panno del Bravìo" and the offering of votive candles to San Giovanni Decollato into the Cathedral. In the afternoon takes place the historical parade, made of more than 300 participants. Finally, at 7 pm, after the signal given by the chimes of the town bell, the barrels start rolling on the stone beginning from the Marzocco column. 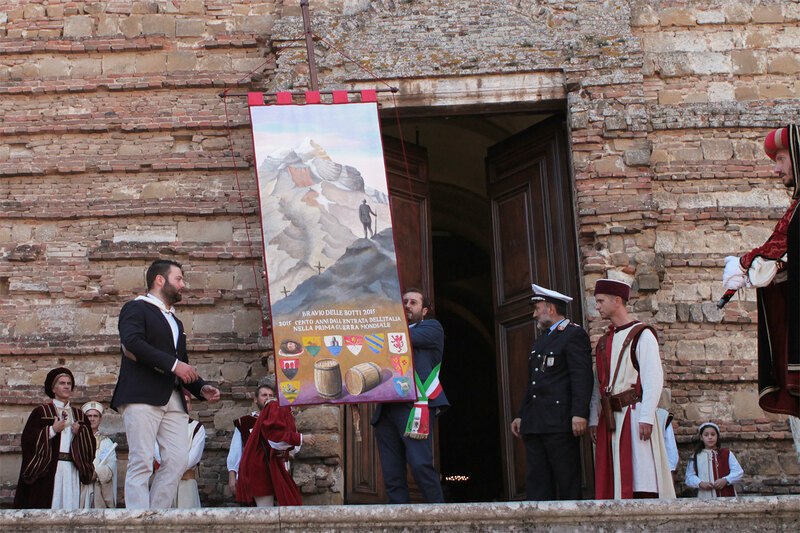 After a few minutes the “Bravìo delle Botti of Montepulciano” will have its epilogue and only one quarter could celebrate the victory and win the “Panno”, a story that has been repeated for over 600 years. Celebrations begin already during the week before the “Bravìo”, in addition to an intense activity of dinners and dances in the many taverns of the eight quarters, there are two events of particular charm: the Proclamation of the Gonfaloniere, held on the Saturday before the race and the Procession of the Ceri which takes place on the Thursday night before the race. 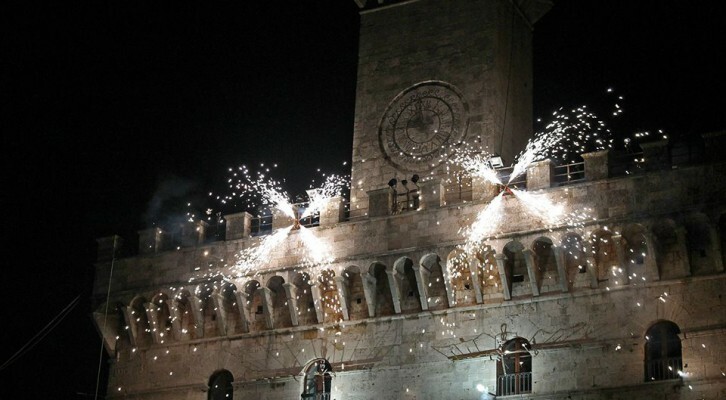 The Bravìo delle Botti is a great popular event, and the right occasion to visit the town and experience tradition and history of the beautiful Montepulciano. Visit the beautiful MONTEPULCIANO experience its history and tradition, RENT A VILLA with us in Tuscany!! !